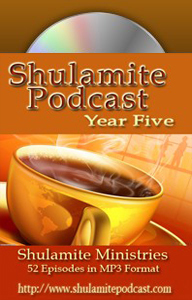 This is the continuation of a series of Podcasts started in Episode #564. How does waiting on God lead to faith? The Christian life is far easier than most believers ever know, and whether we let go and wait on God affects that. (Martha) Here’s a verse that speaks to it a little bit, “How blessed is the man who’s made the Lord his trust and has not turned to the proud nor to those who lapse into falsehood.” That’s the two avenues you go when you have nothing. You go to pride or you go to someone who has pride, and then you have to lie. If you’re not willing to just be that dependent, and you’re not willing, you have to do something. One of them is lie and the other one is get the strength of pride. (John) Read that scripture again. (John) The liars are pretending that they have it? (Martha) Umhmm. And the proud is believing they do have it and using the power. The Latent Power of the Soul, that’s what Nee is writing about, a book by that title. It’s a wonderful book. It gives you the picture of what the soul is and why God does not accept anything from the soul. But the soul has great power, and there’s great power in this end time where there is soul. (John) Well, it has great power to convince me too that it has everything it needs. (John) Well, you wanted to wind this into faith. So, how do want to wind this all up into faith? (Martha) Well, I’ll depend on Austin-Sparks, because he has such a revelation of it. If you’re willing to have nothing… Now Abraham had to go through the failure of it with Ishmael. He wouldn’t wait, and so he had to let go of Ishmael and Hagar. He had to let go of two people that he loved, because he wouldn’t wait. There are terrible repercussions from fixing it or doing it before God has come. But through that he learned I think. 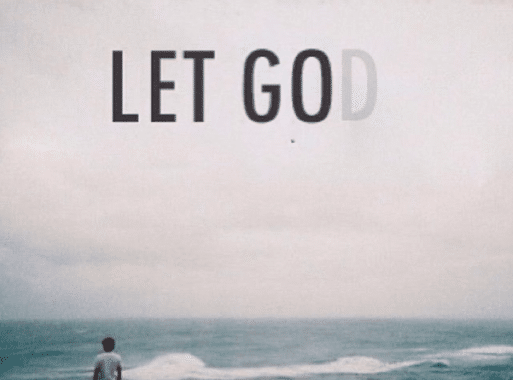 He learned to let go and let God be the source. And that’s how you learn it—by letting go, by not letting go. You learn to depend on God. And He proves Himself. That’s what’s so wonderful. He proves Himself, vindicates Himself, because He does perform what He’s asked you to perform. So, the willingness to not fret – and I’ve been in that Psalm for thirty years, and the first thing it says is, “Do not fret.” And that’s been very difficult, but the more I’ve gotten into it and lived it out, the less I’m fretting. And He will give me another situation where I will want to fret, but I think as Sparks presents it, it is a process of— For Abraham it was a long process of many different experiences where he learned. But he is the father of faith even for Christians. And that faith is based on letting go of what God asks you to let go of, no matter how dear it is to you. And the ultimate was his own son. It’s a great mystery in that situation to me. (John) And that faith brings such pleasure and, you know, the only thing really, it’s the only that brings Him pleasure. (Martha) I’ll mention the book. We’ve mentioned it probably before in the past. Agatha Christie was the great British mystery writer. There was one book she wrote that she said God gave to her. And I won’t go into the story. It’s too long, but it is a Christ story. And the ultimate end of this intricate story is the narrator of the story, who was supposedly telling the story says, “Leave it with God. That’s all you can do. Leave it with God.” And when it was left with God, it became a resurrection story of the amazing transformation of the sinner in the book. So, it was an intriguing book with a lot of wisdom in it. I felt like it really was from God. (John) The Rose and Yew Tree? (Martha) Umhmm. Yeah. Does that answer your question about faith? 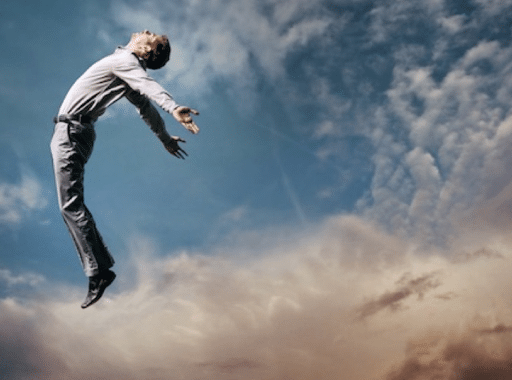 (John) Yeah, I think that letting go and not having anything, that it absolutely all that you can call upon is faith in Him, in His provision, His promise, His everything. (Martha) See, when you don’t wait, and you don’t let go then you don’t have the faith to do that. (John) And it’s such a mess. (John) If you ever see a big, huge pile of wood, hay and stubble, that’s me trying to do it. And then, you know you can just strike a match and throw it to it, and it goes phhhhh. But everything that He does is eternal, and that’s because it’s in the faith of Him. And that’s amazing. To know that it would be eternal makes you want to wait, because if you’re making it, and it’s just wood, hay and stubble, and it is going to burn, and it can burn at any moment. It’s just so… Then you’re fretting about it. You know what I mean? 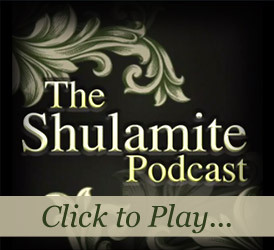 (Martha) You know, I’m thinking about the birth of Shulamite Ministries, which is on the website. But actually I wouldn’t have thought that a ministry could be just spontaneously appear. I would never have thought that was possible. You’d have to organize it, get a vision for it, put it down on paper, pray it in. Oh, no. Uh uh. God was building it all along for over a number of years. And then it just naturally appeared. It wasn’t man’s orchestration. It naturally, it was obvious. Even by… A young woman at the time said to me, “Martha, you have an enterprise in place,” and I didn’t see it. I don’t know how she saw it, because she wasn’t really a deep believer, but she said, “It’s all here. You have the internet presence. You have everything in place.” And the people in the Bible study knew it when I didn’t. (Martha) And had the vision for it when I didn’t, including you. (John) I’ve always been amazed at people that function in the ministry; elders, deacons, whatever, pastor, that usually people’s promotion, you’re scrapping… Here’s the whole deal, you’re scrapping to get to that position. You’re scrapping to be a deacon or an elder or whatever. And the Lord usually uses it as those who are functioning in it. You’re already there. You don’t have the title, but you’re already there. It’s very obvious who they are, because they’re functioning in it. (Martha) I was working with a group that was becoming a church, and they said, “How will we know who is this and who’s that?” And I said, “Just wait. It will appear. It will rise to the surface and be obvious to everyone.” And that’s what happened in our kind of midst, that it just became obvious. And it wasn’t a question of getting together and deciding who. (John) And there again, it’s letting, and there’s waiting, and not trying. (Martha) See, we make it so hard. I’ve said to a number of people, “It’s not really as hard as you make it.” The Christian life should be the easiest life in the world. We make it hard, because we have expectations of what we should be and what we should do, and instead of just letting it be. It’s enough. Amazing. 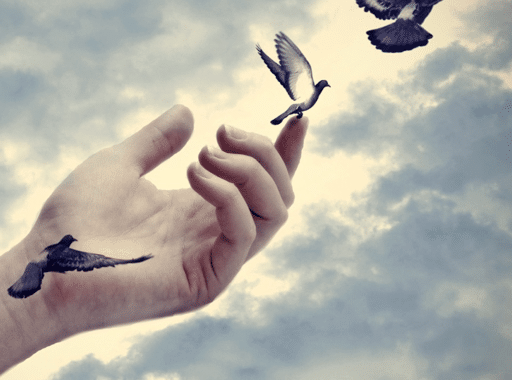 What does faith have to do with our choice to let go of something or not? How exactly does waiting on God lead to greater faith? The Christian life is far easier than most believers ever experience, and whether we let go and wait on God factors into that directly. Christ’s faithfulness over the years has brought faith to me, and brought me to faith. His Redeeming love, so vast so rich, has shown the Father’s heart. Bless you for this message today about faith. In the middle of reading this He reminded me of how much I have in Him, not what I’ve lost along the way. Gaining Christ is faith, deep abiding, tested in fires. Blessings ♡.